If you own a Maserati, you already know how important our expert technicians are. Your high-end import was engineered and manufactured to perform at the highest levels. 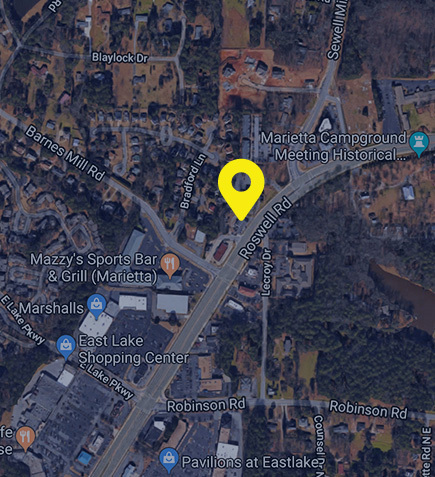 Rocco’s European Garage in Marietta and Atlanta, GA wants all Maserati owners to bring their vehicle to us for any repairs and maintenance to the experts. Our ASE Certified technicians are highly-qualified and ready to handle any services that your Maserati requires. We design preventative maintenance service plans that consider your vehicle’s age and your driving habits. Our maintenance services include clean and consistent oil changes, timely tune-ups, fluid services, filter changes, tire services, and more. The goal is to keep you two laps ahead of any performance issue by using top-of-the-line tools and equipment. Find out what’s happening under the hood of your Maserati today! Our team wants you to avoid a time-consuming misdiagnosis or any unnecessary repairs. When you take your Maserati out for a spin, you should pay attention to all of the early warning signs, and be proactive. We’ll answer any questions or concerns that you have about your Maserati because expert automotive counsel is part of our European import services. If you notice any performance issues–engine knocking, squealing brakes, transmission slipping, etc.–bring them to us as soon as possible. Rocco’s European Garage handles engine repairs, transmission services, brake repairs, exhaust system repairs, A/C repairs, and much more! Come to our Sandy Plains Road location for a quick inspection, diagnosis, maintenance service, or repair. Our technicians are looking forward to your visit to our shop, or your phone call! We’re fellow Maserati enthusiasts so we know how your vehicle is supposed to sound and perform. Bring your car to a shop that specializes in Maseratis. Why trust your precious sports car to a general repair shop. Leave it in the hands of a well-trained and experienced team. Give us a call at 770-509-5124 to schedule your Maserati’s appointment. You can also save time by using our convenient online scheduling system.